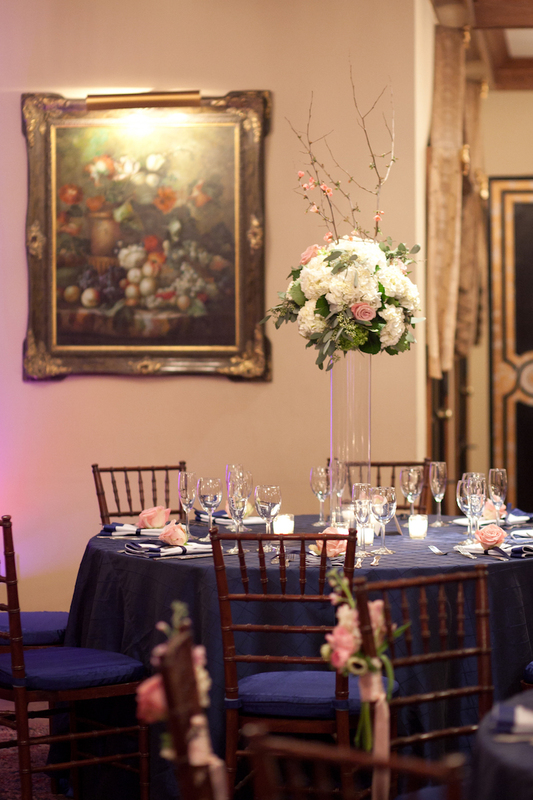 Classic navy and pink wedding reception at the Bedford Village Inn in Bedford, New Hampshire. Flowers included white hydrangea, light pink roses, spray roses, mini green hydrangea and cheery blossoms. Cake: Erin Bakes, formally Wild Orchid Baking Co.